Do you have an old toilet that always keeps on clogging up? If yes, get professional bathroom remodeling services by Citywide Plumbing that would help to improve the functionality and efficiency of your bathroom. 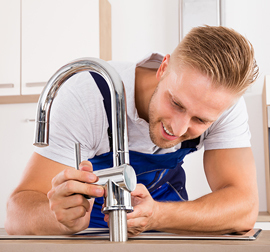 Highly rated on Yelp, Citywide Plumbing offers quality plumbing installation and repair services to its customers in San Francisco and neighboring areas. Our certified plumbing team includes experienced, licensed, bonded, and insured plumbers. Our services and solutions are backed with quality workmanship. Every household is unique and has different bathroom needs. Adding some cool features and amenities helps to increase the accessibility of the bathroom. We are always ready to get our hands dirty to keep your bathroom in up to date condition. We offer the best plumbing services. Our plumbing experts focus on 100% customer satisfaction with exceptional customer service, and straightforward pricing. So, if you are looking for a plumbing professional to install a toilet, faucets, water filter, bathtub, sink, dryer, or even a garbage disposal unit, feel free to call Citywide Plumbing at (415) 716-1519 or (650) 993-8159. We serve throughout South San Francisco, San Francisco, San Bruno, Millbrae, Daly City, Colma, Burlingame, Broadmoor, and Brisbane.